Stearns Bank Customer Success | Engravestone Inc. Stearns Bank Customer Success | Engravestone Inc. There are many benefits to living in a small town. After moving from Upsala to Holdingford and buying a business, Chris and Teresa Welch decided to move their business and consumer bank accounts to Stearns Bank. Chris and Teresa have owned Engravestone, Inc. in Elmdale since 2012. Engravestone provides engraved bricks for fundraising projects. 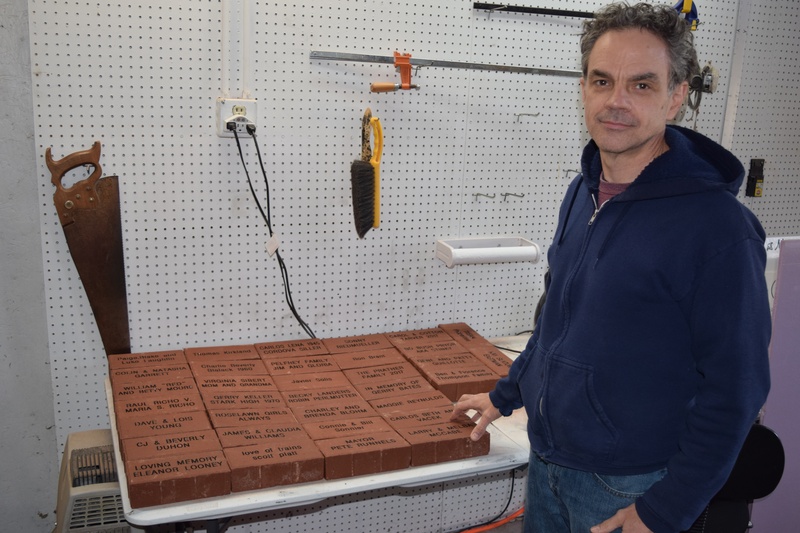 These bricks are ordered by donors with a personalized inscription and then placed in the playground, walkway or memorial plaza of the organization holding the fundraiser. “We’ve done projects all over the country for schools, universities, places of worship, civic organizations and memorials,” Chris said. The Welches enjoy working with Upsala branch manager Annette Lange and the personalized touch she provides their family.